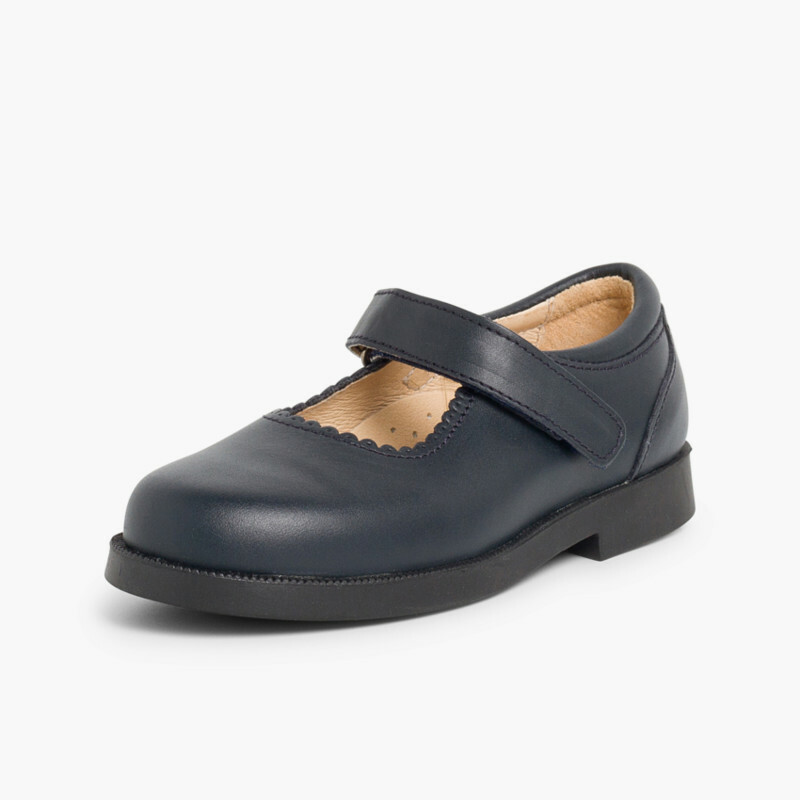 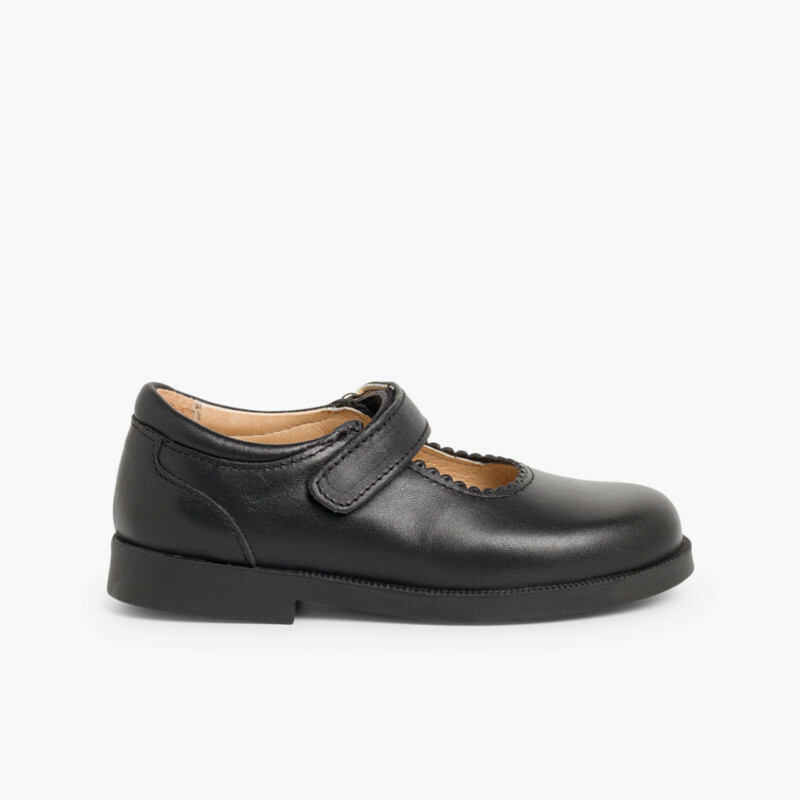 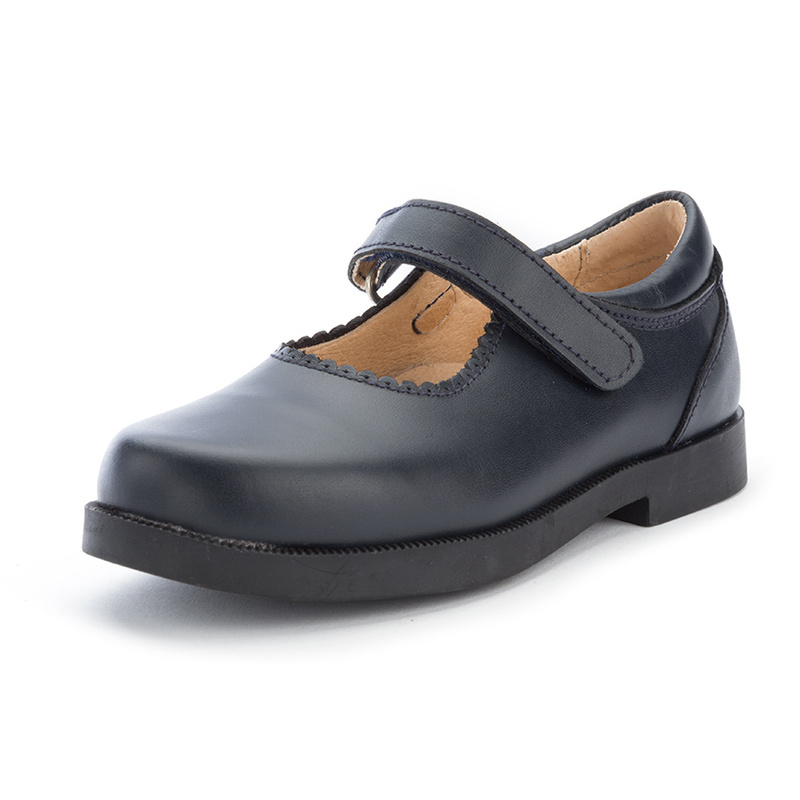 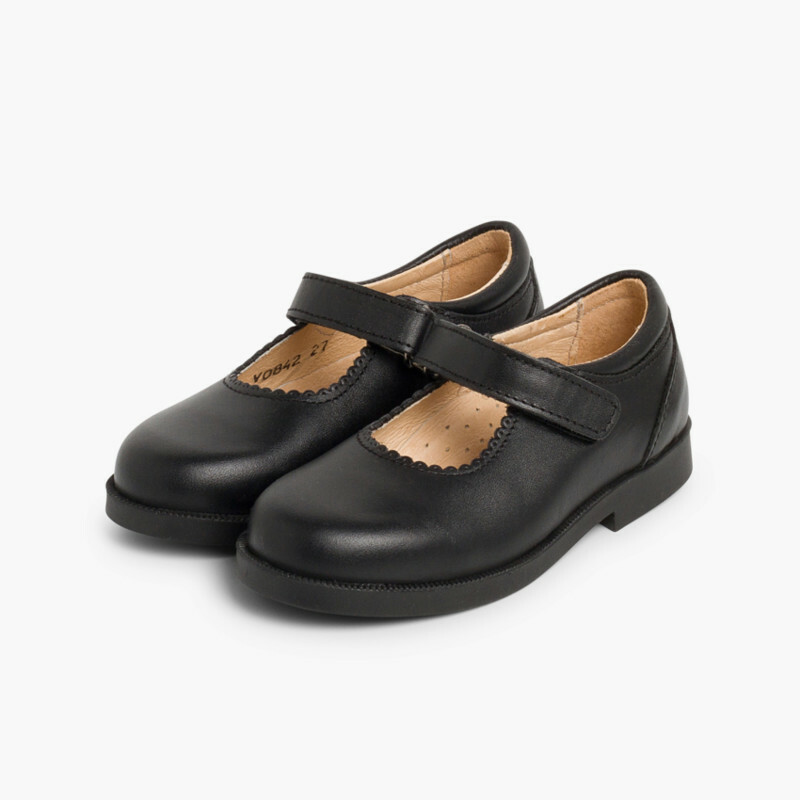 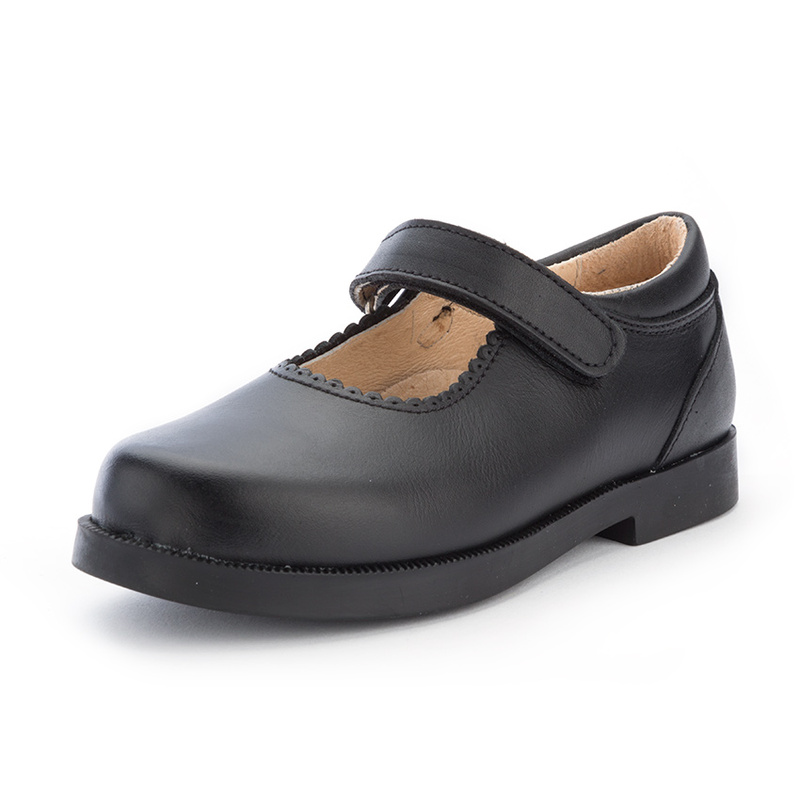 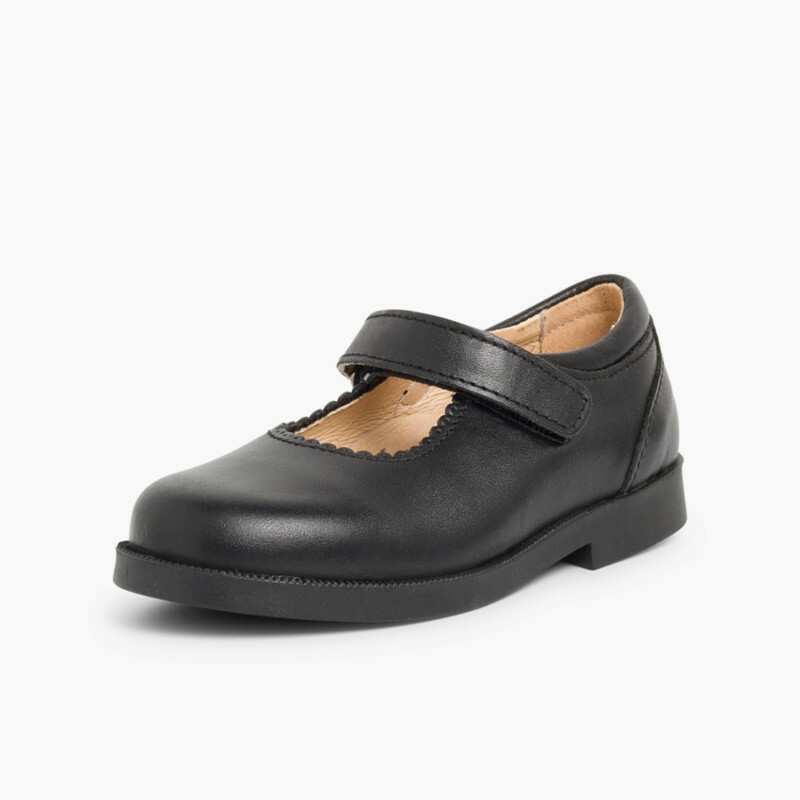 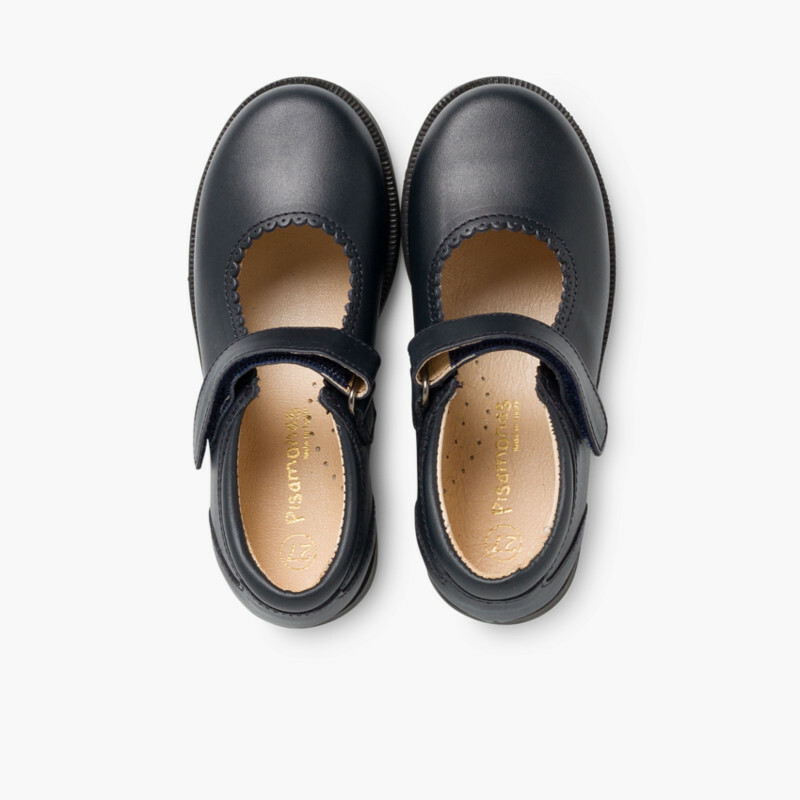 These shoes for girls are ideal as part of their school uniform and comply with the requirements of most schools: they are available in navy blue and black which can be worn with most uniforms, and their riptape fastening makes them easy for girls to put on and take off giving them more independence. 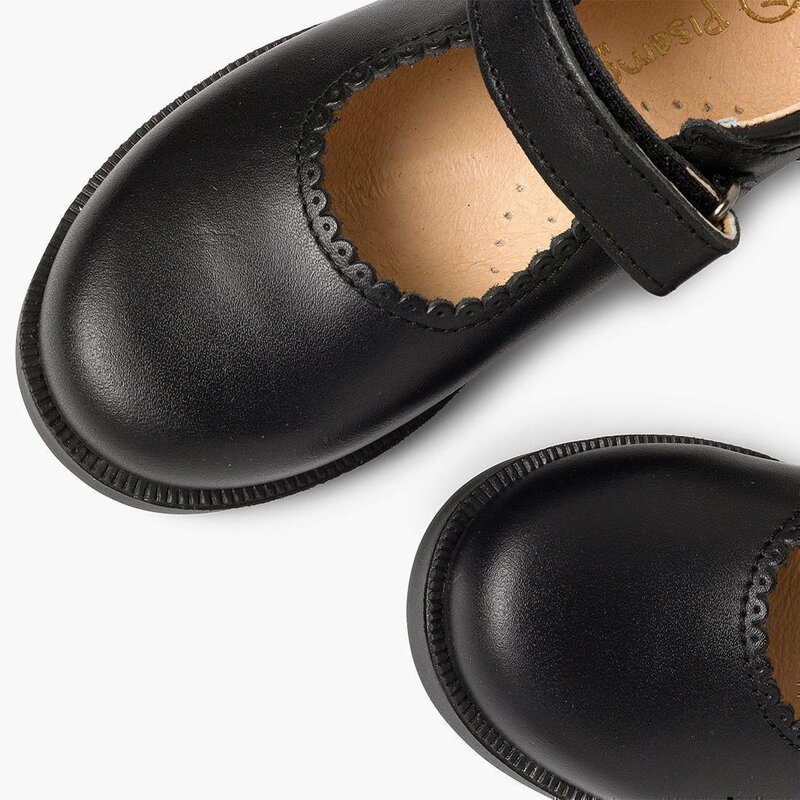 Their design, with a beautiful shape and festoon finishing on the instep area, will make girls happy to wear them every day. 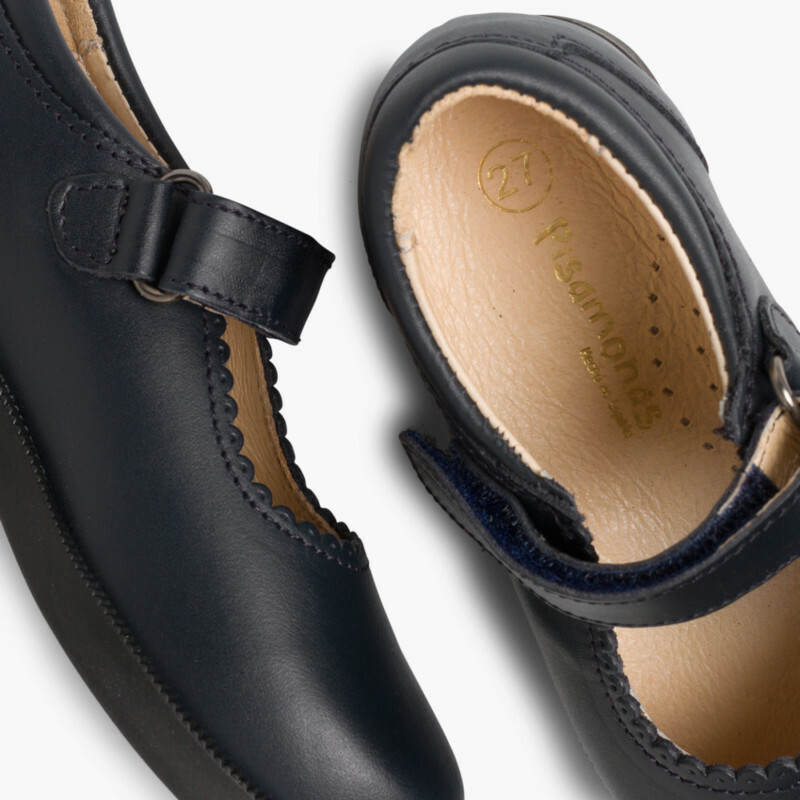 Comfort is essential when wearing shoes 8 hours a day several days a week. 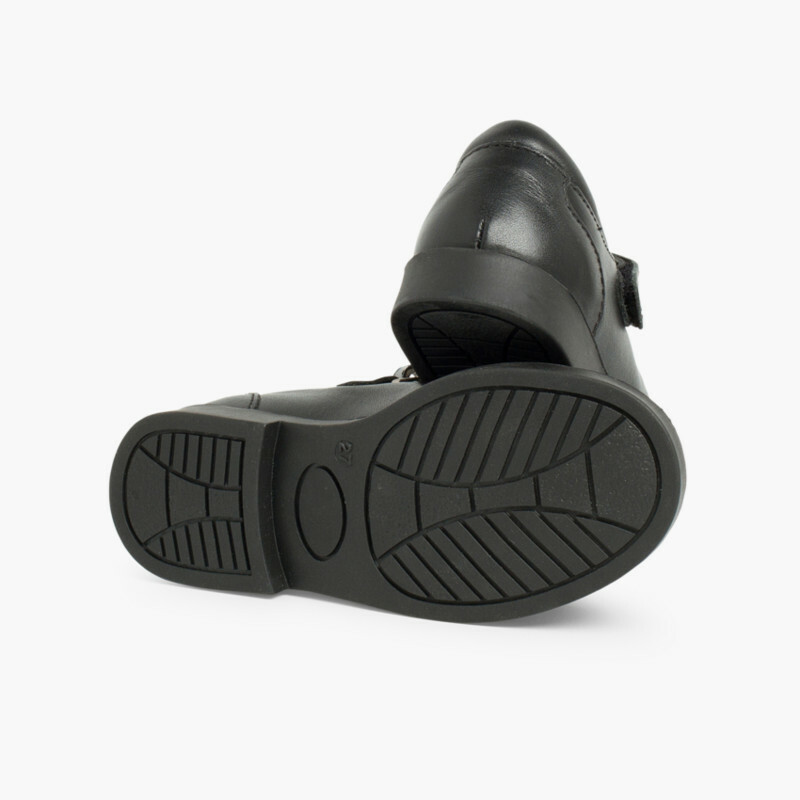 In this case, the outside of the shoe is made of 100% leather to ensure the foot breathes and the sole, made of anti-slip rubber, is very flexible for a better grip and to cushion every step. 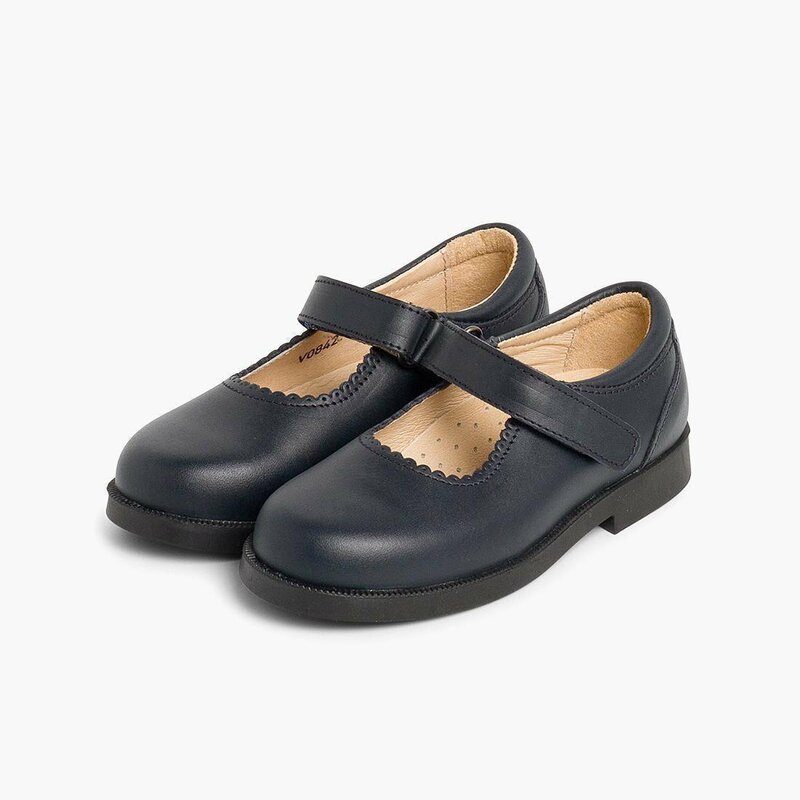 If you need socks or woollen tights to complete your daughter’s school look, don’t forget to have a look at our Condor accessories section, you’ll find everything you need for your little girl. 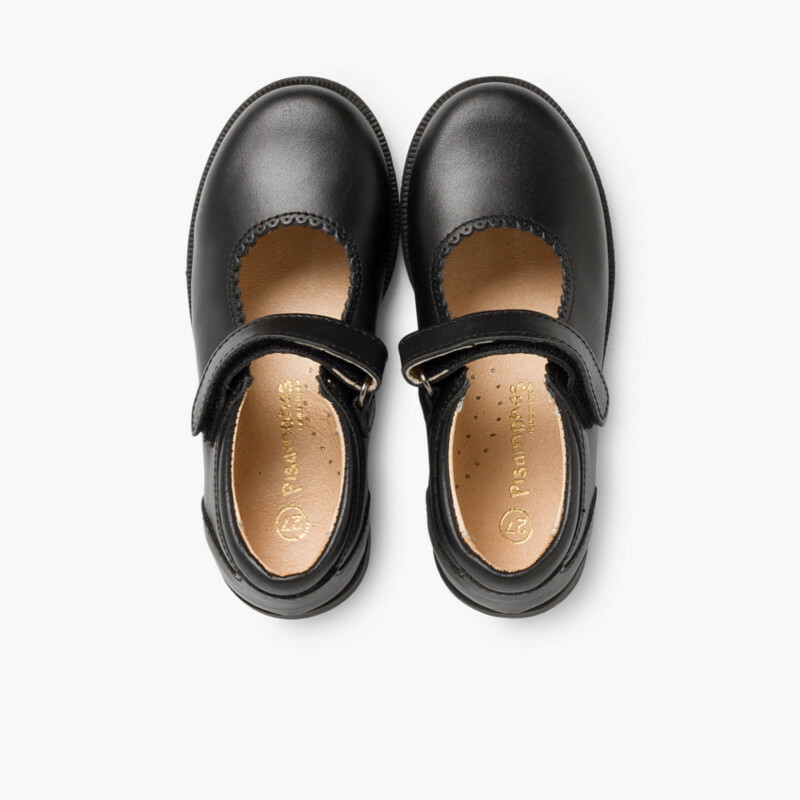 Made of leather on the outside and the inside so the feet can breathe, with an easy velcro strap that means little ones can be more independent! 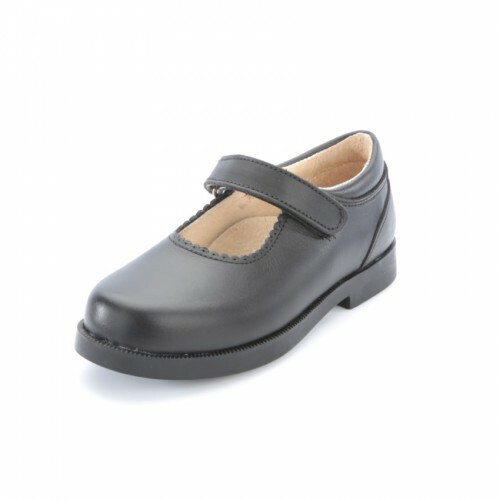 To keep them perfect and get rid of any scratches, we recommend you use a polish of the right colour.